Focus is having fun improving puck skills, agility and power skating, passing/receiving and goal scoring. 45 minutes of skills and 15 minutes of game/scrimmage situations each day. Focus is having fun improving skating skills, agility and balance in a safe environment. Please note this is NOT a learn to skate program. 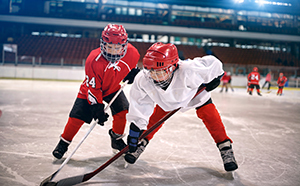 Fort Hockey Development camps are all designed to improve the skills and enjoyment for all players, of all ages to be the best they can be.